The bike is equipped with Campagnolo Super Record EPS 11-speed drivetrain, Campagnolo Shamal Mille wheelset, Ritchey Superlogic components, Selle Italia SLR Nabuk saddle and Vittoria Open CX 700×23 tires. Other drivetrain options are available and the UK prices are: Campagnolo Super Record (£6,999), Shimano Dura-Ace Di2 (£7,699), and SRAM Red eTap (£7,699). 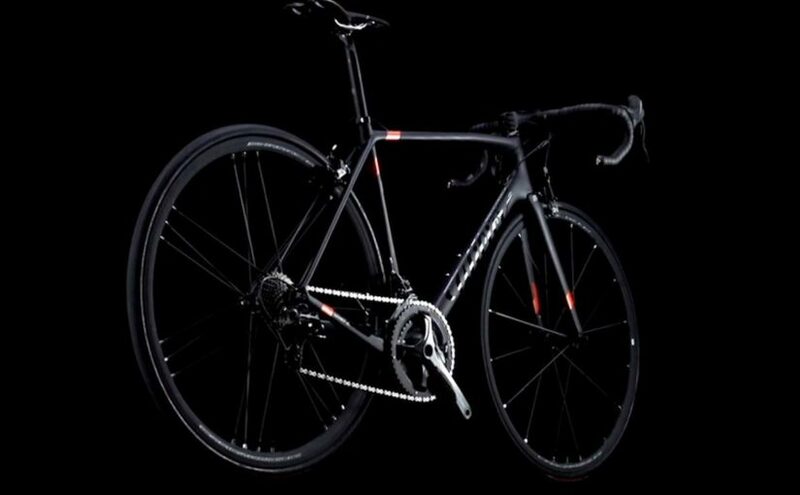 The buyers of the bike will also receive a Montegrappa writing instrument. Montegrappa is an Italian manufacturer of luxury writing instruments and watches based in the North-East of Italy. “Our adventure started in Bassano del Grappa, Italy. It was 1906. For 110 years we have been actors and spectators in an unprecedented host of political, social and industrial changes. 110 years that have seen our frames continuously evolve. This evolution, in 2016, has reached an important milestone: the creation of our Zero.6. A bicycle 110 years in the making. The ultra-light racing frame is unique, elegant and technologically superior. Wilier Triestina is founded in 1906 by Pietro Dal Molin in Bassano del Grappa, Italy. They are now based in Rossano Veneto, Italy. The company got its start in a modest workshop on the banks of the river Brenta in San Fortunato by Pietro Dal Molin from Bassano del Grappa, Italy in the summer of 1906. The famous Italian cyclist Fiorenzo Magni rode Wilier bikes in his 1948 Giro d’Italia win as well as his 1949 and 1950 Tour of Flanders wins. Marco Pantani rode the 1997 Tour de France on a Wilier. More recently World Champion Alessandro Ballan and runner up Damiano Cunego rode Wilier bicycles to victory in the 2008 UCI Road World Championships. On June 30, 1946, less than a year after the end of World War II, during the 12th stage of the Giro from Rovigo to Trieste, some anti-Italian activists who wanted Trieste to be part of the newly-formed Yugoslavia stopped the Giro 2 km east of the village of Pieris, nearly 40km before the finish line. The activists blocked the road with cement blocks and threw stones and nails at the riders. The Giro organization had already decided to declare the stage end in Pieris and neutralized the general classification for the day, but some of the riders, led by the Trieste-born Giordano Cottur who was a rider at the Wilier-Triestina team, insisted on riding to Trieste anyway. This was the first Giro and the first Grand Tour that both Italian legends Fausto Coppi and Gino Bartali were opponents on separate teams. Bartali was the overall victor.